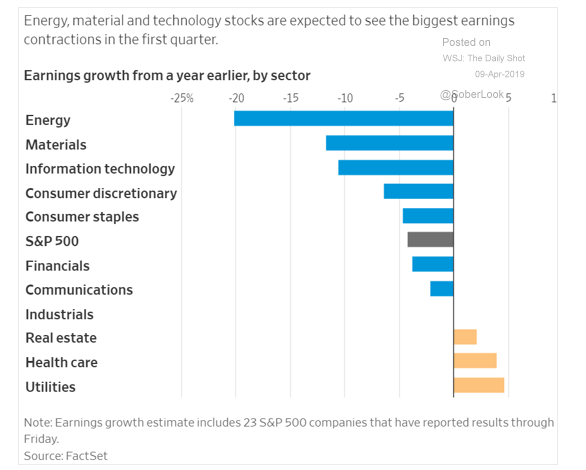 For the first quarter, Energy, Materials, and Technology stocks are expected to see the largest earnings contractions. 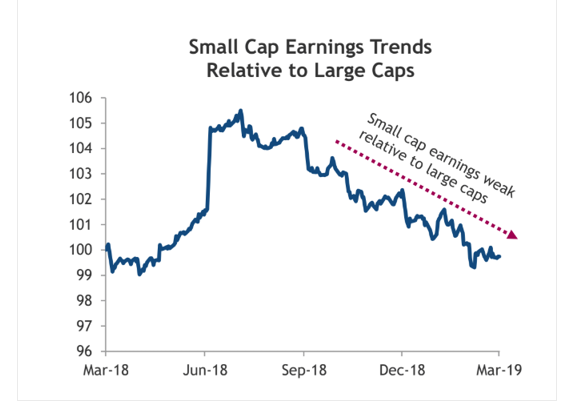 Small-cap earnings increasingly lag their large cap peers. 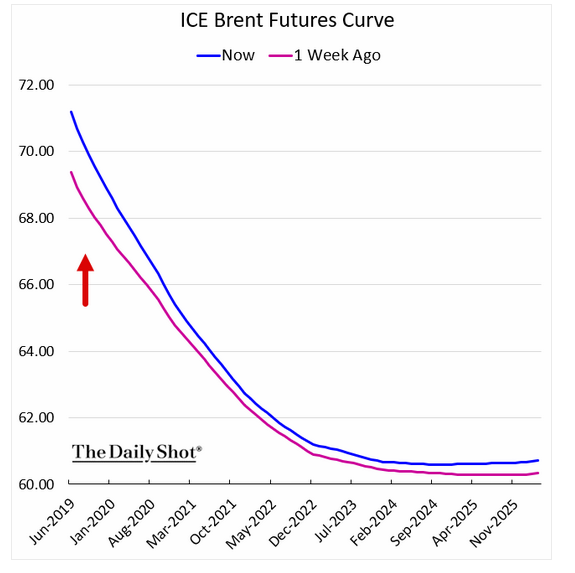 Brent (oil) is trading above $71 per barrel, but is the futures curve predicting lower prices? 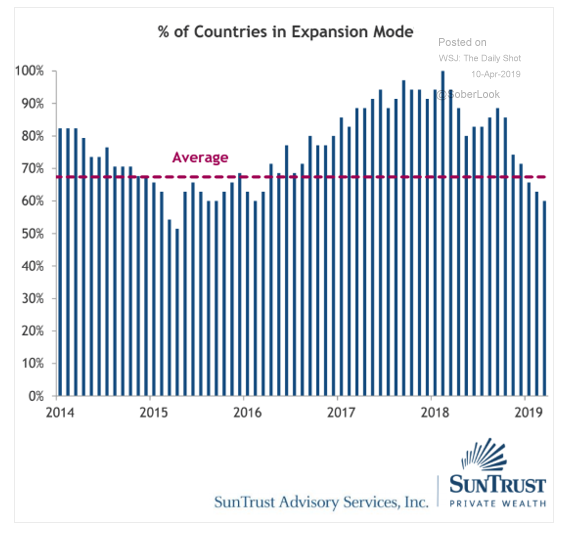 We all know lower prices means lower demand and thus are a possible recessionary indicator. 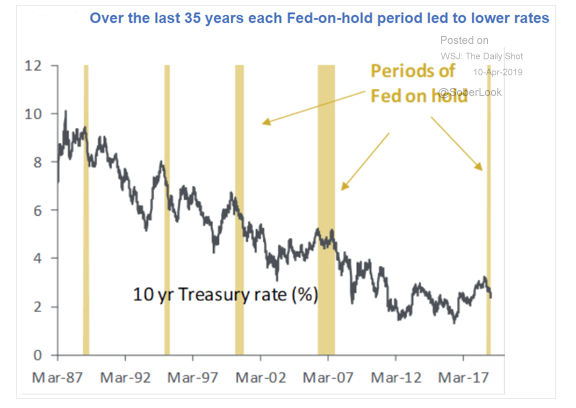 When the Fed is on hold, Treasury yields tend to move lower. 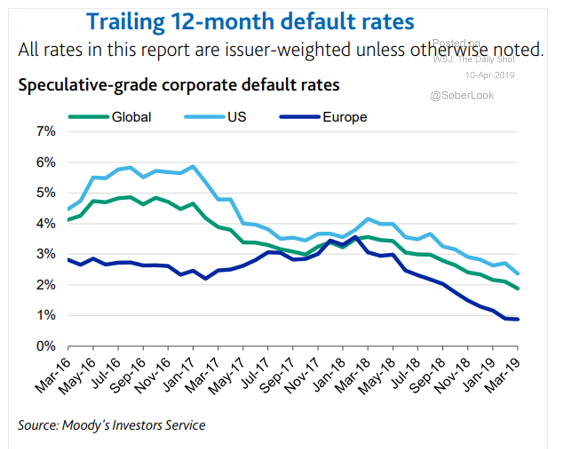 Meanwhile, Italian bond yields are at the lowest levels in almost a year. 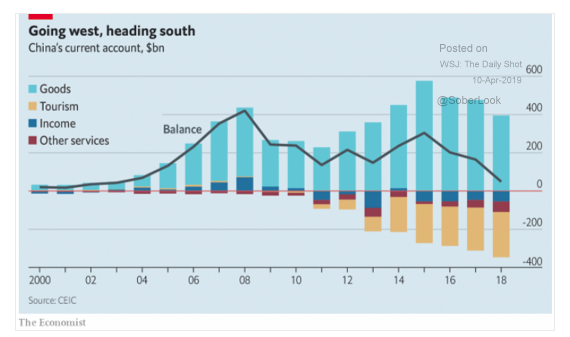 Just how much is China stimulating its economy? 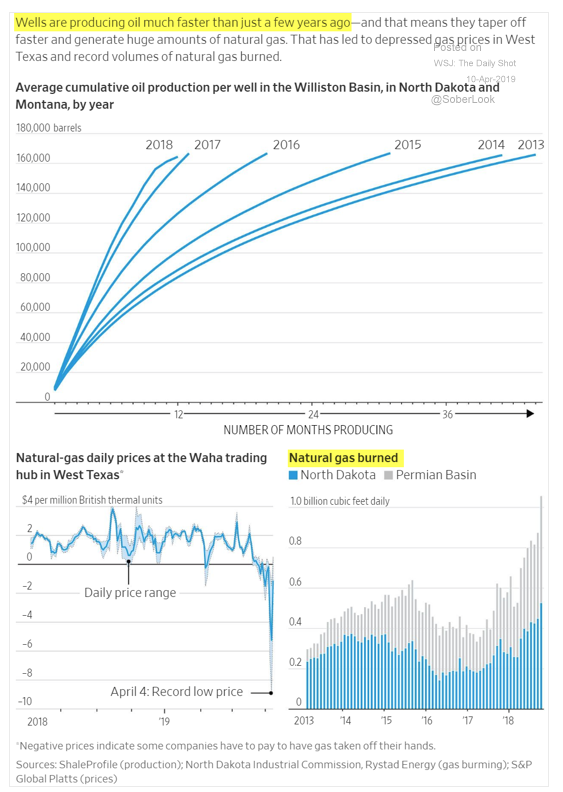 Three times its levels in the past! 8. 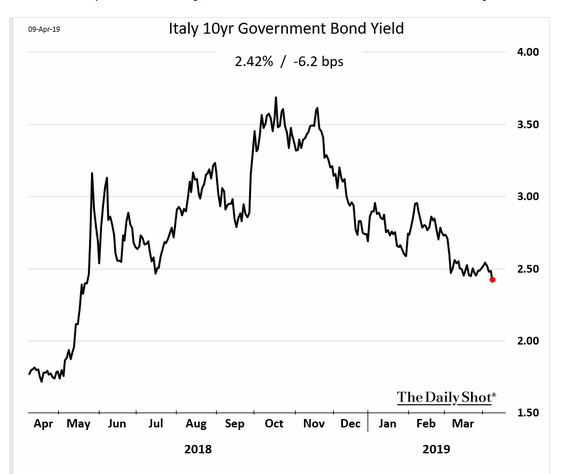 Italian 10 year bond yields are slightly lower than the UST 10-year yields. Is there a message here? 9. 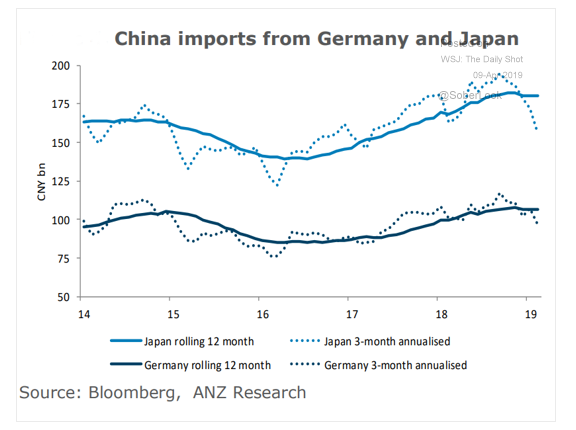 While China's economy has been slowing for a few years, will the trade war push them into a trade deficit? 10. 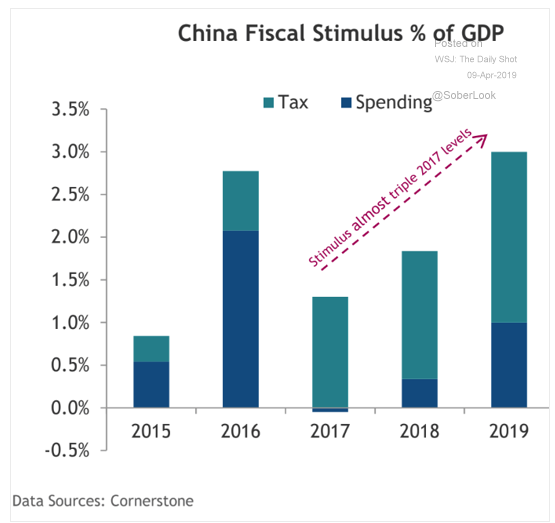 Just how much is China stimulating its economy? Now that Tax Season is (almost!) over and April is in full swing, we want to help you empower your clients to educate themselves on investing by following our Financial Literacy posts! Subscribe to the BCM Blog and choose your preference for either weekly or instant notifications.